← Hokua Luxury Condo Tower – Where are the owners from? 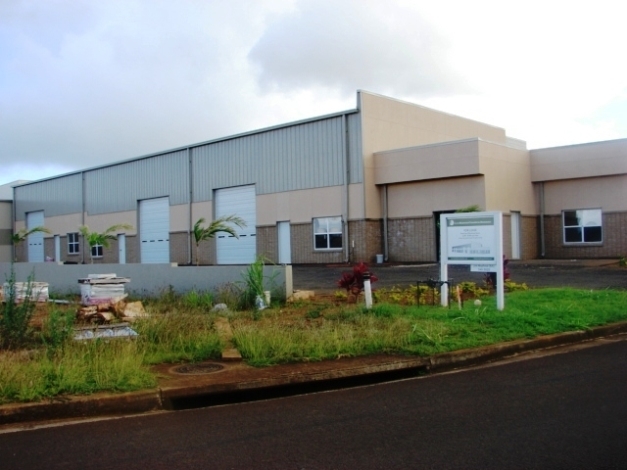 The island of Kauai is home to some 313 industrial buildings on 237 parcels containing more than 2.5 million square feet of gross building area. 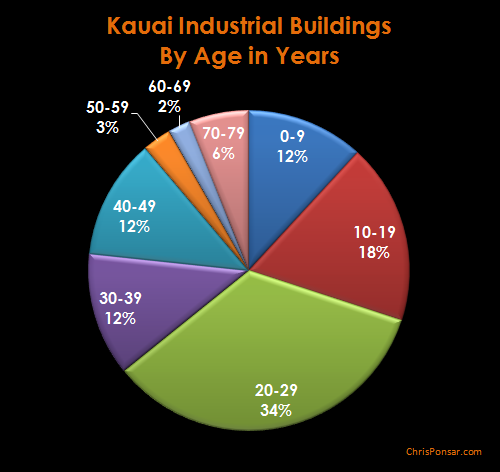 As shown in the table and pie chart below, nearly 90 percent of Kauai’s industrial buildings are less than 50 years old, with the oldest surviving structures being in the 70-79 year old age group. 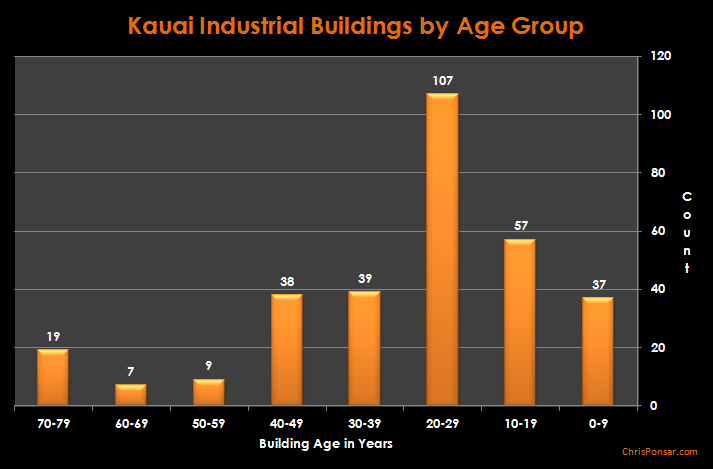 The graph below depicts the extent of construction that took place after Hawaii became a State in 1959 (fifty-four years ago), and the large proportion of industrial buildings that were developed in the period of 1984 through 1993 (buildings aged 20 to 29). A pdf copy of the County of Kauai Comprehensive Zoning Ordinance (CZO) can be downloaded here. but not necessarily compatible with permissible uses in the Commercial District. potential threat or hazard to health, safety and welfare. This District shall not be located adjacent to residential or resort districts unless there is physical or geographical protection from those characteristics of the uses considered to be offensive or hazardous. If you have any questions of comments, please leave them in the comment box below.